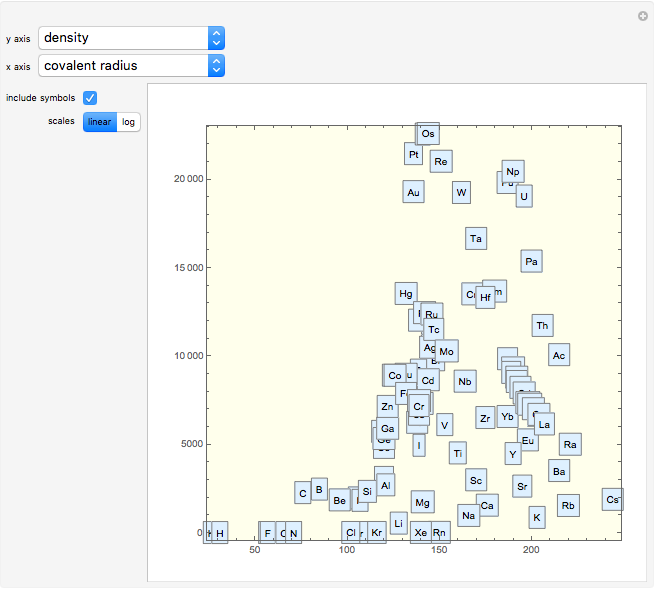 Compare two properties of chemical elements. 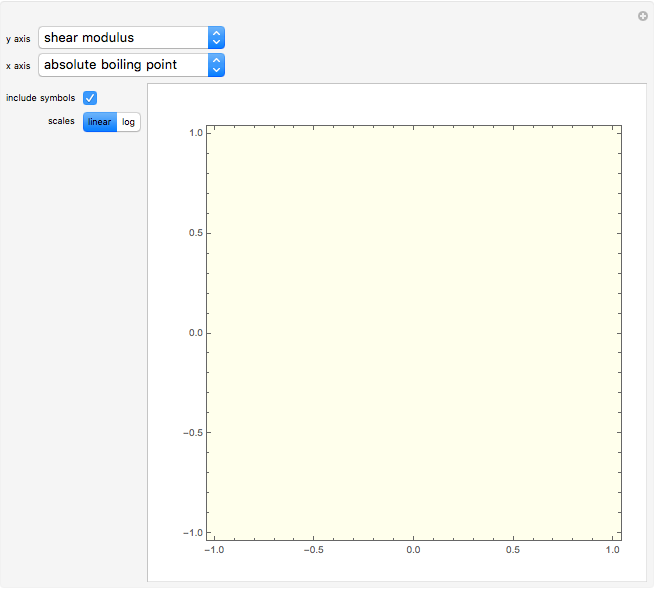 Put your mouse over a point to see the name of the element. 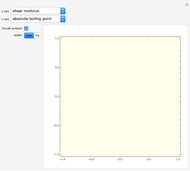 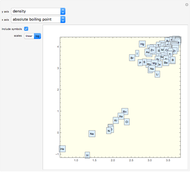 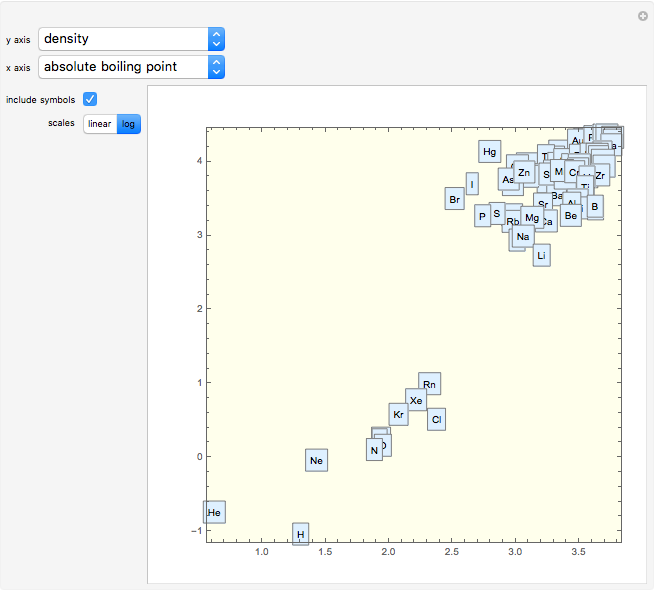 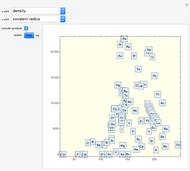 Stephen Wolfram "Comparing Properties of Chemical Elements"